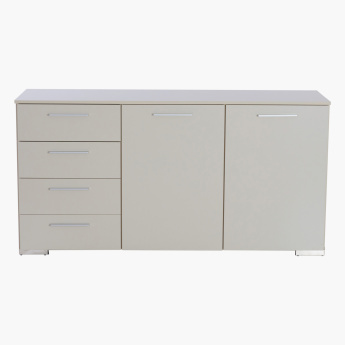 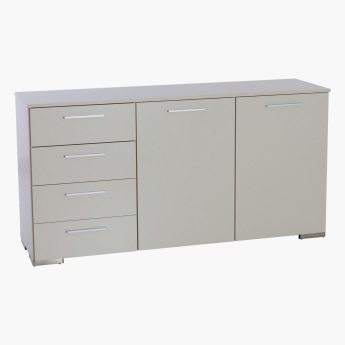 A utilitarian pick for your dining room, this sideboard has two doors and three drawers that offer ample storage space. 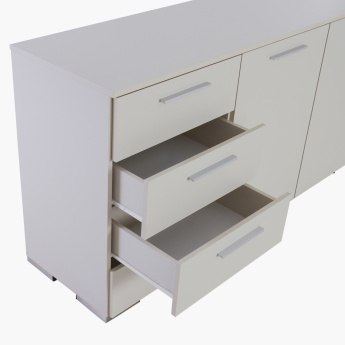 The metallic handles offer easy access. 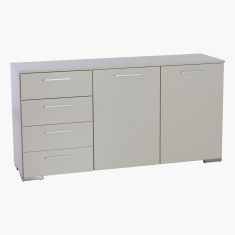 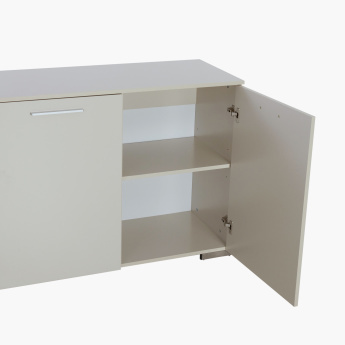 Moreover, the high-grade material used to build the sideboard makes it durable.